A must have item for the serious Glock enthusiast! 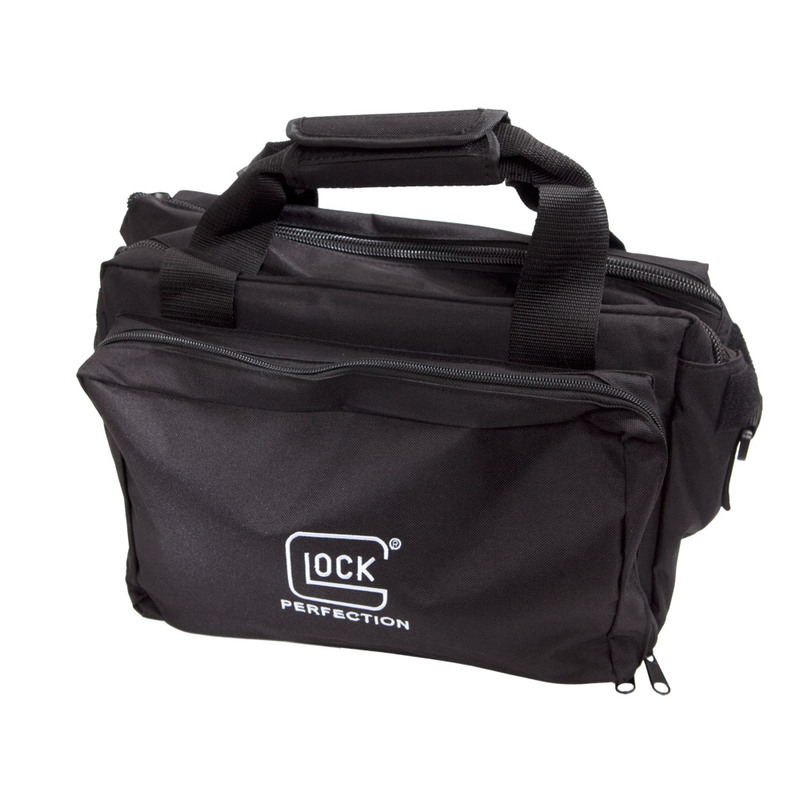 This brand new version of the Glock Range Bag is certainly one of the nicest range bags we've ever offered! The bag is of luggage quality, come with a heavy duty, padded shoulder strap, and made of heavy Black Cordura fabric. There is one large, external zippered pocket, with two see-thru mesh pockets and a padded tube pocket inside of it. The other side of the bag has pockets for up to 6 full-sized magazines with a velcro sealed flap that also has an integral ID window. And to let you show your Glock pride, it sports an embroidered Glock Perfection logo prominently on the large pocket side. This bag will keep your gear protected, organized and will look great doing it during countless range sessions. I recently acquired my first glock. Mod 17 gen 3 and want more.